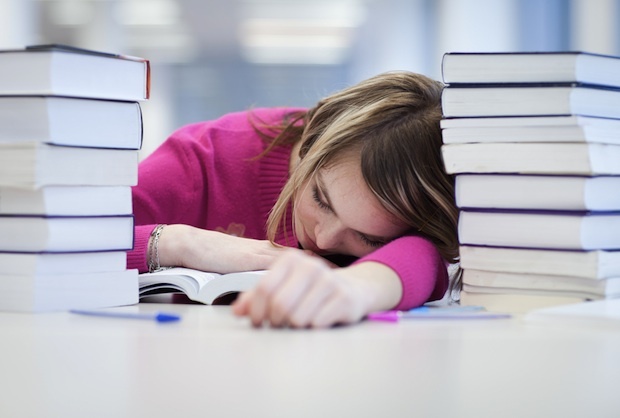 Children’s National says high schoolers aren’t getting enough sleep. Fairfax County Public Schools are considering delaying high schools' start times to 8 AM or later, in an effort to allow students to get more sleep and therefore improve school performances. The district has awarded Children's National Medical Center a $143,000 contract to develop a plan to accomplish the proposal. Photograph via Shutterstock. Fairfax County Public Schools are currently at the heart of a national debate over whether to delay high school start times to 8 AM or later in an effort to allow students to get more sleep and therefore improve school performances. The school district has charged Children’s National Division of Sleep Medicine with the task of developing a plan to accomplish the proposal. Research shows circadian rhythms, which govern sleep and weight patterns, shift dramatically with the onset of puberty, explains Dr. Judith Owens, director of sleep medicine at Children’s National Medical Center. Adolescents’ bodies aren’t programmed to go to sleep until after 11 PM, but many students now have a 6 AM wakeup call. Surveys conducted in the county found that two-thirds of 8th-, 10th-, and 12th-grade students get seven hours or less of sleep on weeknights, compared with the recommended 9 to 9.25 hours recommended per night. 2) Allow for afternoon naps. If nine straight hours of sleep isn’t possible, napping can make up for it, says Owens. A 20- to 30-minute nap provides improved alertness and performance. Currently, high schools in Fairfax County begin their day at 7:20. “We’re shortchanging them of critical sleep—particularly REM sleep, which is fundamental for memory and learning,” explains Owens. “We have kids who are not functioning at their best. They’re not performing as well academically, or they’re more likely to have car accidents because they’re driving while drowsy.” She adds that lack of sleep now means even more health issues down the road, including increased risk of obesity, type 2 diabetes, and heart disease. Since being awarded a $143,000 contract from the school district, Owens’s team has begun talks with school districts across the nation who have already implemented delayed start times in their high schools, the closest being Arlington Public Schools, which moved start times to between 7:50 and 9 AM in 2001. Since then, the school district says attendance has improved, and students report that they’re happier and more alert. However, the proposal doesn’t come without pushback. For one, while the delayed start times worked in Arlington County, that doesn’t mean they will in a county that includes more than 150,000 more students. Fairfax County is the 11th largest school district in the country. Another major concern is that a later start time means even later after-school extracurricular activities. One more potential issue is traffic patterns and reworking bus schedules. For example, in order for Arlington County to start school later, some middle schools students had to start school 20 minutes earlier due to new bus schedules. The Children’s National team will work closely with the school board, high school principals, students, and parents throughout the research process, which will last until December or January. Surveys will be sent out to each group within the next few months. The hope, Owens says, is that the results from Children’s National’s research will help the school board move forward in implementing the delayed start time by the start of the 2014-2015 school year.